Website design in Bangladesh: When it comes to business we cannot ignore the massive impact of modern technology. Sometimes we see that Internet is the main wheel to some business. Without the use of the internet, it is impossible to get the most out of the world around. To harness the mighty force of the internet, companies are opening their market platform on it. Yes, having internet address is what it means. A website can help consumers find your company through the internet from anywhere they want. This will increase accessibility, brand/ product awareness, sales, insight about customers, customer feedback and ultimately will maximize revenue. All this improvement for a small investment on buying a domain and designing the website. So, now probably we all have understood the necessity of having a website. Now the second step is to make one. Making a website is a very intensive work. Not everyone can handle such work with precision. There are a lot of web designing and hosting firm available in Dhaka, Bangladesh. Now, if you are searching for the best web design company in Dhaka, Bangladesh you are in the zone. The best web design company in Dhaka, Bangladesh is Tritiyo Limited. Creating a website includes from owning a domain to design and develop a website with different web applications. The domain is the address that a web surfer types in the address bar of a browser and Web design includes web graphic design, creating an interface of the website, using a web application to perform a function, user experience design and SEO (which helps to gather traffic in websites). So, in order to have your own website, you should go to Tritiyo Limited's website. The Best web design Company in Dhaka, Bangladesh, Tritiyo Limited, has a simple website with faster operation and easy to understand navigation system. If you visit the website the first thing that you will find is the option to contact us. From there you can our contact information. There is a contact form given as well If you want to contact directly with us through our website. By putting required information, you can get connected with the best web design company in Dhaka, Bangladesh. If you are already on our website, go to the contact us option in the main navigation bar. 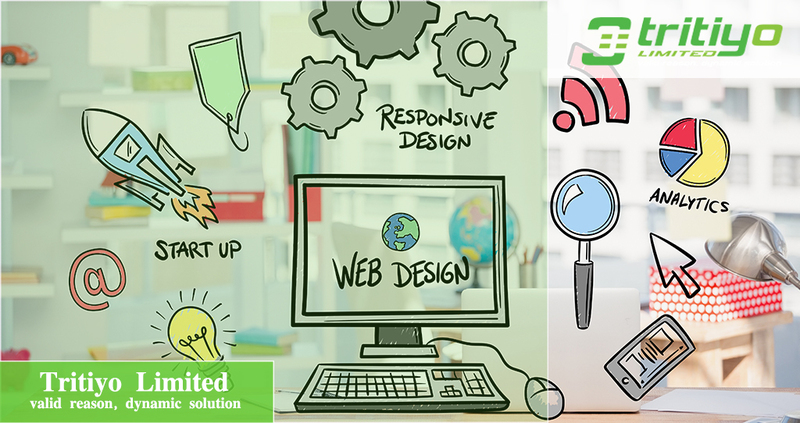 Why miss the chance of getting service from the best Web design company in Dhaka, Bangladesh when we are here to provide you the best service?